Stitch to My Lue Promotions provides you with fresh ideas and unique merchandise whether you’re looking for a gift, promotional item, or direct mail campaign — we make getting noticed easier than ever. If you think direct mail is dead, we encourage you to take another look! In this high tech digital world, direct mail has gone through a metamorphosis! Now more than ever, direct mail can be used as a powerful tool to get your business in front of thousands of prospects and current customers. Even better, data targeting strategies that was once only available to large corporations with big budgets has become much more affordable and accessible to small local businesses. We offer a wide variety of full color printed materials that will make your business stand out. We are here to help from the design phase all the way through printing and fulfillment. It’s important that your company has a consistent look across all of your marketing materials from business cards to polo shirts! Let us help you with your next project! Business cards, brochures, letterhead, stickers, etc. We offer a variety of company store and fulfillment solutions designed to fit the evolving needs of your company. Whether you’re looking to manage your pricing for branded merchandise, consolidate your spending, or accommodate large and small orders for branded goods, we can help. 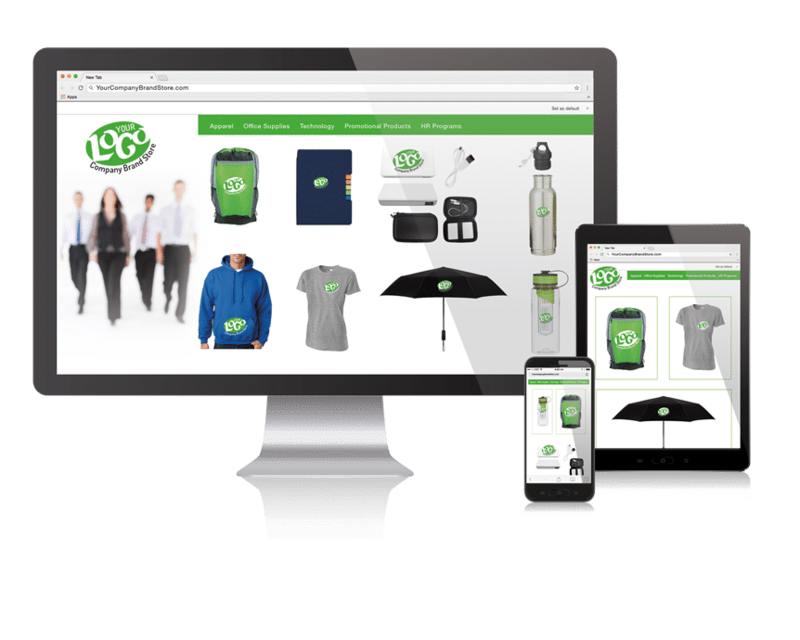 Our in-house team can create a customized online store that matches the look and feel of your brand. We will also continuously update your store with new items that will surprise and delight your franchisees and employees. Life is full of moments that need to be commemorated, people to recognize, and executives to appreciate. Perhaps you need trade show giveaways or corporate event gifts and incentives. Maybe you need to thank your customers for their business or to recognize your clients’ or employees’ anniversaries. Whatever the occasion, Stitch To My Lue Promotions can help you find a gift that fits your brand, is consistent with your corporate values, and your recipients will treasure. We recommend promotional items that are useful, unique and unforgettable or feel free to browse our online shop here! To get help selecting a promotional gift, call (352) 254-8991 and speak to a sales associate. As this survey by MarketingSherpa demonstrates, consumers trust direct mail when it comes to making purchase decisions much more than other marketing channels. This is why direct mail continues to be a highly effective marketing tactic. It also provides sales teams with a way to directly engage with prospects. Stitch to My Lue Promotions works with you to create affordable dimensional direct mail pieces that help your company stand out and generate high interest. To learn more, call (352) 254-8991 to speak to a sales associate. We work with many departments within an organization, including Human Resources, Marketing and Operations teams to design the perfect program to compliment your company culture that will build brand & value awareness with your internal teams and external partners.